Jan. 31 (NBD) – Chinese authority has thawed game-license freeze by granting license approvals to 447 games as of Tuesday. An analyst with a broke-dealer said to NBD that not all the games will be approved but the total amount of approvals will be more than expected. Over the past few years, China's game industry, from an era of computer games to one of mobile games, welcomed rounds of booms with remarkable growth registered each year. But in 2018, Chinese authority suspended granting license approvals to games, making the segment take a hit with the growth rate hitting a record low. According to a report on China's game industry released by Gamma Data, proceeds of sales in the sector in 2018 reached 214.44 billion yuan (32.0 billion U.S. dollars), a year-on-year increase of only 5.3 percent. As a result, the number of new games dropped sharply. 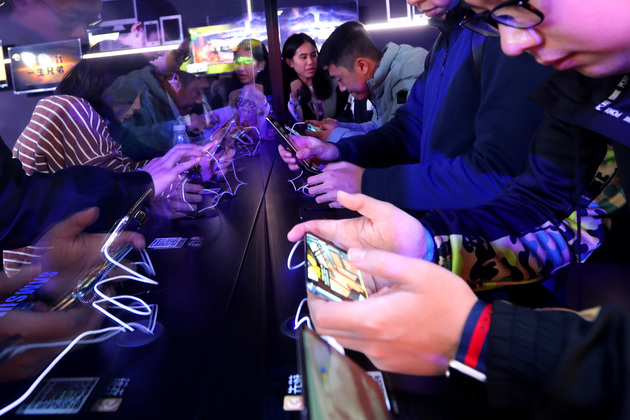 Statistics from data company Sensor Tower showed the number of mobile games released on China's App Store in 2018 decreased by 59 percent over the previous year and the total mobile games downloads in China's App Store reduced by 11.2 percent. After undergoing the fluctuations in 2018, the game industry will see more and more new changes in the future. As consumers' personalized demand for games climbs, the domestic game industry has presented a landscape of diversity. Role-playing games and action games stopped dominating the market, while niche games started to gain popularity. Jeffrey Lyndon Ko, co-founder and chairman of iDreamSky, and Wang Yufei, vice president of Rastar Group, stated in an interview with NBD that indie games will be a new growth driver for the industry. Listed companies are investing in indie games to change the current situation in China's game sector, they added. Moreover, as domestic game companies ramp up efforts to go global, exchanges between Chinese games and foreign games will be more frequent. Some people noted it's likely that more foreign games will come to the Chinese market. In 2018, game companies Perfect World and Valve Corporation joined hands to set up a project called Steam China to promote Steam, the largest digital distribution platform for computer games, to develop in China, which will also push more foreign games to go to the Chinese market.